Built in 1907 by Swan, Hunter and Wigham Richardson Ltd. Length 278.4 ft. Breadth 36.0 ft. Depth 14.1 ft. Gross tonnage 1,768. Built for the Central and South American Telegraph Company for cable repair duties. Johnson and Phillips supplied the cable machinery which consisted of double combined cable winches with a lifting capacity of 25 tons at 1 knot or 10 tons at 2 ½ knots. The winches were driven by individual steam engines mounted on the starboard side of the machine. Three bow sheaves each 4 ft 3 ins in diameter and a single stern sheave 3 ft 3 ins in diameter were fitted. Cable was fed to the stern sheave by a system of rollers from the forward cable winch. For storing cable four tanks, Nos 1 and 4, 18 ft in diameter and Nos 2 and 3, 25 ft in dia. were installed. Nos 2 and 3 tanks could be fitted with internal portable tanks 15 ft. in diameter. Transferred to all America Cables in 1920 and subsequently based on the west coast of South America. Sold in 1940 to the United Fruit Company, retaining her name. Sold again in 1946 to the Caribbean Atlantic Shipping Corporation and renamed Ceibar. 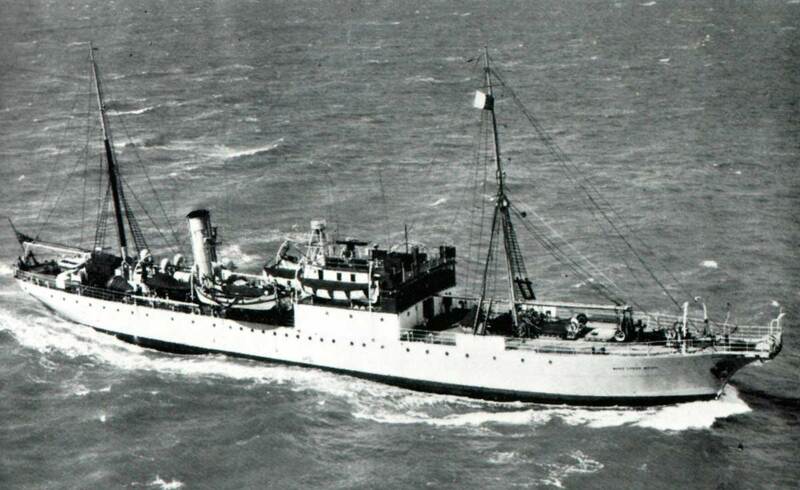 Sold again two years later to Ships & Vessels Ltd., Israel and renamed Theodore Hertzel. Finally broken up in 1951.